The spotlight often falls on showier European cities like Barcelona, Paris and London. But Lisbon is gaining ground, its star rising quickly among globetrotters seeking both old world charm and modern-day finesse. What’s more, Portugal’s capital was just named the world’s leading city vacation spot of the year at the 24th World Travel Awards. Lisbon offers castles, parks, a buzzing cultural scene, haute dining and some of the best travel value Western Europe has to offer. In 2018 alone, actually, 15 new hotels will add more than 1,600 rooms to Lisbon, creating plenty of consumer-friendly competition. As you plan your visit, here are a few items for your to-do list. The city’s official travel card, the Lisboa Card, makes getting around Lisbon easy and affordable. The three-day card is the best bang for your buck: €40 for adults, €21 for kids, You get free rides on all public transport – bus, tram, metro, even funicular – and free access to 26 museums, monuments and UNESCO World Heritage Sites, including the iconic Torre de Belem. A slew of shopping, nightlife and tour discounts come standard. Get it at the airport or the Lisbon Welcome Center. The 28 tram line may be the best way to see Lisbon. The classic yellow cars are, themselves, an attraction: these are historic Remodelado trams that date back to the 1930s and screech along a complex network of uphill climbs and tricky turns. The 28 line runs from Campo Ourique to Martim Moniz and takes riders through several popular tourist districts. “A trip to the last stop, Martim Moniz, will help orient you a bit,” says Kat Lapelosa, avid traveler and art director at Brooklyn-based PR agency PrayTell. “It also offers great views as you coast past Praça do Comércio and Miradouro de Santa Luzia, where some of the most romantic views of the city can be seen.” Ride early or board at either end of the route for better odds at your own seat. A giraffe is pictured at the Lisbon zoo in Lisbon, Portugal, this undated stock photo. Lisbon sits on the north bank of the Tejo River, where the river meets the Atlantic. That means that a river cruise can offer a beautiful and unique perspective of this 2,500-year-old city. There are several charter companies to choose from, many of which will pick you up at your hotel; you can save by buying your tickets direct, and some companies offer Lisboa Card discounts. Cruises usually last two to three hours and include a drink. Aside from sweeping landscapes, you’ll catch views of landmarks like the Basilica de Estrela, Castelo de Sao Jorge and the Christ the King monument. The Santa Justa Elevator also is, itself, an attraction. Inspired by the need to tame Lisbon’s undulating terrain (Lisbon is built on seven hills), it dates back to 1902, when it was originally powered by steam. The metal neo-Gothic tower rises almost 150 feet and features a covered observation platform and walkway that offer awesome views of the city. The elevator connects the lowest and highest points of the city – from Baixa to Largo do Carmo, respectively. To avoid crowds, especially in summer, visit early in the day or at night. Elevator ride and platform access cost about €5. Other great places to catch a view include the Vasco da Gama Building, the city’s tallest structure, and several lookouts throughout Lisbon, or miradouros, like the Miradouro de Santa Catarina and the Miradouro de Sao Pedro de Alcantara. Ask any foodie: Portuguese cuisine is among Europe’s best. “The Time Out Mercado da Ribeira is a great place to sample a few dishes if you’re not sure what to try first,” suggests Lapelosa. “Duck rice, baked octopus, bolinhos (salt cod potato croquettes) and, of course, sardines! The best place to have them is at Sol e Pesca on Pink Street, which is also one of Lisbon’s best party streets.” You can’t miss Pink Street – the pavement is literally pink. And the bevy of bars that line it help create a wonderful bohemian vibe and stay open late every day. You could just let your sweet tooth be your Lisbon guide, since the sweet treats in this city are legendary. The pasteis de Belem, or pastel de nata, is considered Portugal’s official pastry: a delicious egg tart pastry. The pastel prep, and its consistency, will vary from bakery to bakery — all the more reason to try a lot of them. Indulge in travesseiros (puff pastry stuffed with a sweet almond-and-egg cream), arroz doce (sweet rice pudding topped with cinnamon and often made with condensed milk) and barriga de freira (an egg yolk-based treat which translates to “nun’s belly”). Wash down dessert with bica, seriously strong espresso, or a glass of traditional port or Madeira wine. At about 4 square miles, Monsanto Forest Park is Lisbon’s largest green space. If you don’t want to forego your jogging routine, head here. Look out for “keep fit” courses that lead the way through some of the park’s prettiest spots to enhance your cardio workout. There’s really good hiking here, too. Monsanto also offers plenty of picnic spots as well as a steady calendar of concerts, theater acts and exhibits. The Santa Justa Lift in Lisbon, Portugal is pictured in this undated stock photo. Lisbon is Europe’s warmest capital city and its dependably good weather makes it prime for kid-friendly outdoor activities. Take them through Lisbon on foot or tram, and visit any of the city’s many parks and gardens. Kids will love the Lisbon Zoo, the Jardim Zoologico, with its dolphin shows and lion feedings. The Lisbon Oceanarium, the largest of its kind in Europe, and the Calouste Gulbenkian Planetarium are also little people pleasers. And the Parque dos Indios is a must; divided into two zones depending on your kids’ ages, it features classic playground equipment along with boats, a lighthouse and a lovely natural setting. One of the most fascinating historical snapshots in Lisbon exists underground, in the basement of a bank. The Nucleo Arqueologico da Rua dos Correeiros can’t be seen from the street; you have to enter the Millennium BCP bank along Rua Augusta before you head into the depths below. The 9,000-square-foot site dates back to the first century AD and is believed to be the remains of a Roman sardine factory. Various tanks, baths and mosaics are visible, as well as a Visigoth burial site with a mummified skeleton. Guided tours in English happen on the hour and are free, but advance reservations are recommended. 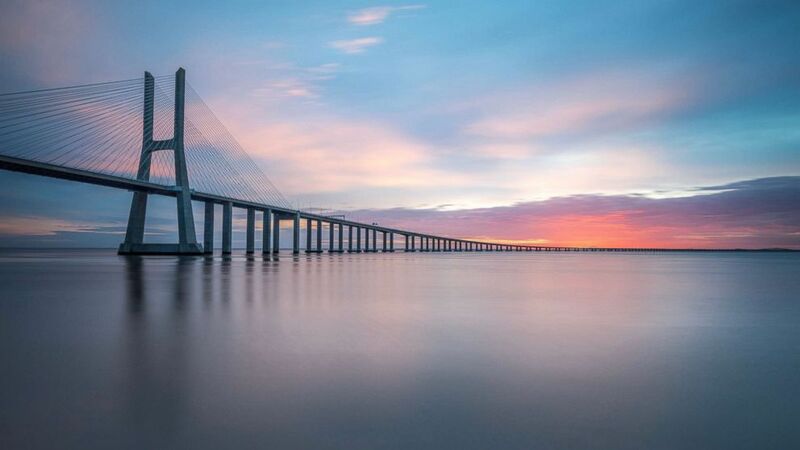 Lisbon’s Tejo Estuary is considered one of the most important wetlands in all of Europe. It’s a wonderful observation spot for birdwatchers, since this marsh is the preferred habitat for dozens of species of migratory seabirds, like avocets, eagle hawks and herons. Contact Birdwatching Lisbon for guided access to otherwise restricted sites. Two of the easiest day trips from Lisbon are Cascais and Sintra, each about 20 miles to the west. Cascais is surrounded by lovely beaches and has cobblestone streets; Sintra features an architectural treasure trove of monuments, including three national palaces. And the best part? Travel there and back on the CP train lines is free with your Lisboa Card. A pilgrimage to Fátima is not included on the card, but, for many, it’s a trip not to be missed; Fátima is the site of many Virgin Mary apparitions. Need a beach day? Several highly regarded beaches are easily accessible from downtown Lisbon, with Praia da Ursa, Praia das Azenhas do Mar and Praia do Magoito getting extra high marks. Praia Grande, about 30 miles west, can generate powerful swells, which avid surfers love; for family-friendly swimming, the north end of this beach is home to the largest saltwater pool in Europe. Water sports fans should also check out Praia do Guincho, where adrenaline-pumping windsurfing and kiteboarding are popular. Gabe Saglie is Senior Editor for Travelzoo, which features exclusive deals to and throughout Portugal. Got your own favorite Lisbon experience? Let him know on Twitter or Instagram: @gabesaglie.